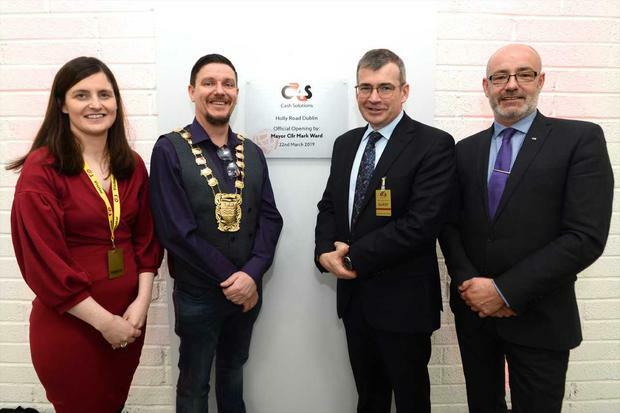 G4S Ireland is creating 200 new jobs as it officially opens a new national cash centre in Dublin, the largest facility of its kind across the firm's global network. The new centre, which opens fully for business next month, will provide cash management solutions for over 3000 businesses and financial institutions across Ireland. Based in Dublin West, the facility comprises almost 10,000sq m of space, and more than 100 people were employed in its development and construction. A total of 400 people will be employed at the site, including the 200 new positions. Garda Commissioner Drew Harris was among a number of special guests who attended the launch. Managing Director of G4S Cash Solutions Ireland, Damian Young said that the company is committed to further expansion in Ireland. "This facility will underpin our focus on technology, innovation and automation to maintain our leadership position in providing end to end cash and payment management solutions to Irish businesses and banks," he said.